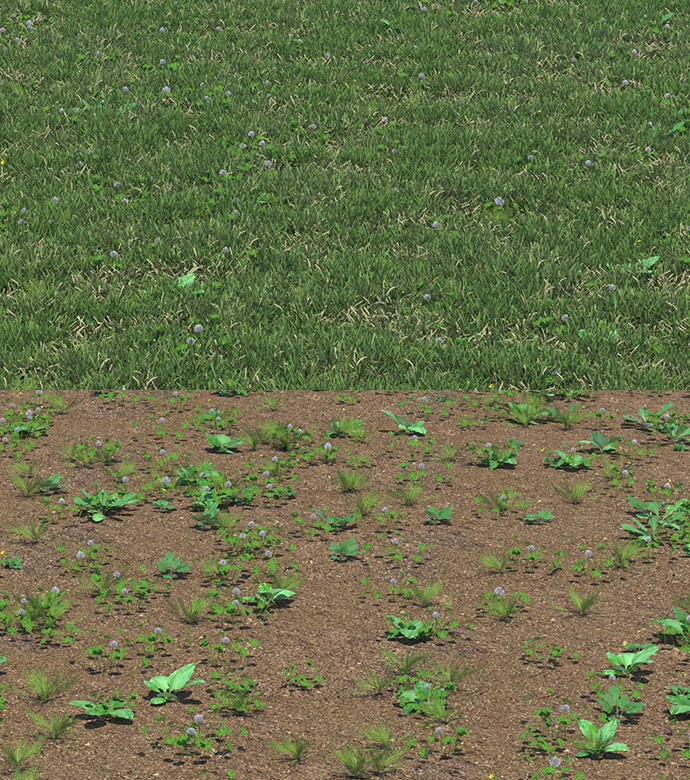 This library is the second part of my grass library and consists of fifteen more straight detailed grasstufts (5 small, 5 medium and 5 large) made with The Plant Factory. The grass is about 5 centimeters high. 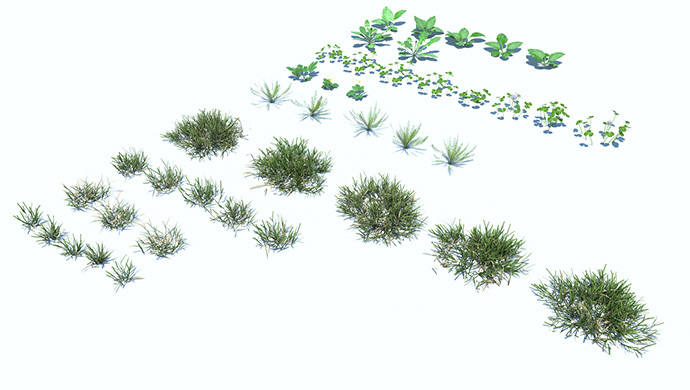 It has also some dried grass tufts and several different lowpolygon weedplants for a even more natural look. These includes buttercup, dandelion, clover, platain and yarrow. Render ready for Thea. You will need Thea render for SketchUp installed. OBJ files and textures included for other render engines.